Are your member profiles helping your members get the most from your organization? 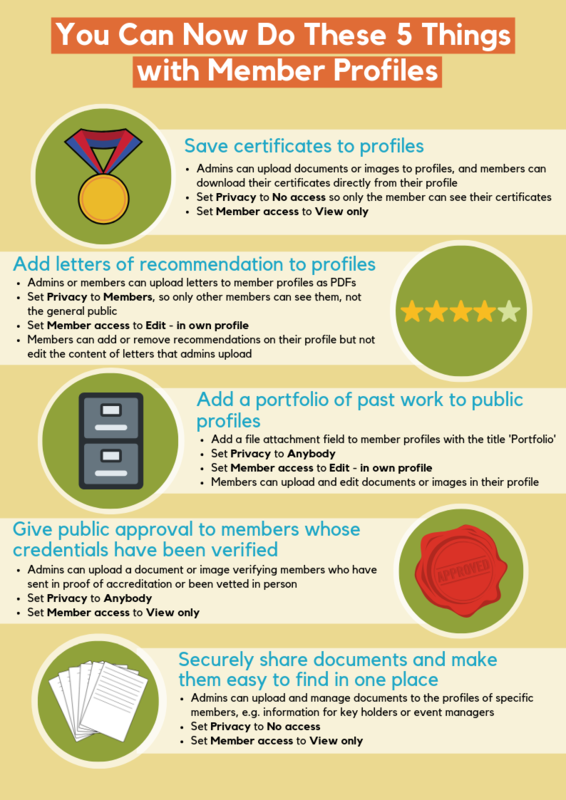 Thousands of organizations use member profiles as a place to record member information — but did you know that with a few tweaks they can also help your members connect with each other or members of the public, and help cut down the time you spend on admin each week? 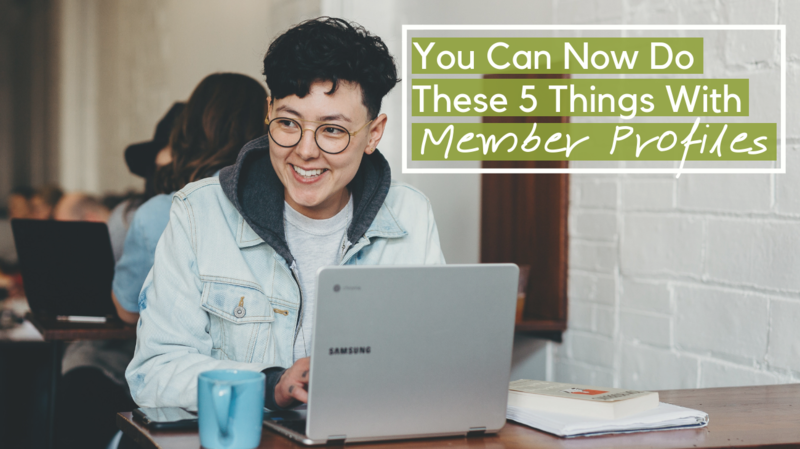 Below are 5 ways you can use member profiles in your Wild Apricot account to make your members' and your admins' lives easier. All 5 tips are set up using the new file attachments feature — simply add a file attachment field to your member profiles and set the privacy and access settings suggested below. For detailed instructions on using attachments, take a look at the Find Out More section at the bottom of the page.